Orchestral, Choral, Chamber, Opera and Instrumental Repertoire Specialists. This website shows a just a small selection of featured titles. The total number of titles we can supply is way too big to list on any website! Basically if it is published, we can get it. The best thing to do is just to email us and ask. We will reply straight away with all of the relevant information. 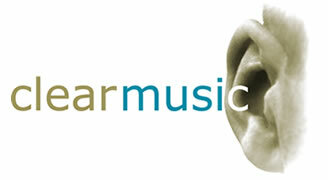 Clear Music Australia is a specialist music company, established to support the music community in Australia. We are pleased to have our Weebly website up and running! We are currently dealing with over 400 publishers worldwide, and so what is shown on this website is a small fraction of what can source. Basically, if it's published, we can get it! This website features RECENT IMPORTANT PUBLICATIONS from major publishers. Please feel free to contact us at any time regarding your music needs, or with any questions about repertoire. And don't forget to subscribe to our e-newsletter. We look forward to hearing from you soon! Clear Music is an innovative new classical music promotions company offering a unique set of highly specialised services to the music community. Our offices are located at 139 St Johns Rd, Glebe, approximately seven minutes from the Sydney city centre. Clear Music provides music publisher agency services, encompassing the very highest levels of service, dedication, and attention to detail. Offering expert knowledge and experience, our approach embodies a genuine caring and respect for the music community, and a close association with the publishers we represent. orchestras, choirs, libraries, conductors, professional musicians, and performing organisations. We also specialise in searching for hard-to-find repertoire, and in many cases we are able to organise with publishers to obtain special reprints of archive/out of print titles. Currently we are dealing with over 400 publishers worldwide. All our orders come in by air once or twice per week from all sources, with no overseas freight charges being passed on to the customer! Where we are dealing direct with overseas publishers, our prices are as close as possible to the original overseas price. Coupled with free freight from overseas, this makes ordering music through us a speedy and highly appealing exercise! What additional assistance do we offer? Clear Music offers a free reference and information service. Using a vast number of international library and publishing databases, we can research availability of repertoire, analyse for you the various edition options, alert you to out of print and archive situations, advise on what is on hire VS what is on sale - all of this saving you countless hours of searching. Think of us as your free reference and advice centre! We also offer ongoing information and updates on new publications via regular e-broadcasts, plus detailed advice and assistance to orchestras and choirs in choosing repertoire to suit your needs. 20% off the ENTIRE Bärenreiter Catalogue!